You’ve heard of “line item veto,” right? Balzer Companies focus is on strategic business development that will impact the top line growth of privately held companies in the mid-range market. In general, this spans $1 million to $100 million with the “sweet spot” being in the $10 million to $40 million range. My customer is a CEO / Owner / President who wants to take his/ her company to the next level of growth. by 4 to 6 times! Three key areas are dramatically affected and will require change. To address these two issues, it is important to first create an overall strategic plan that first recognizes the profound changes that are needed to achieve growth, and second is structured to be flexible enough to be updated consistently and can be changed when needed. 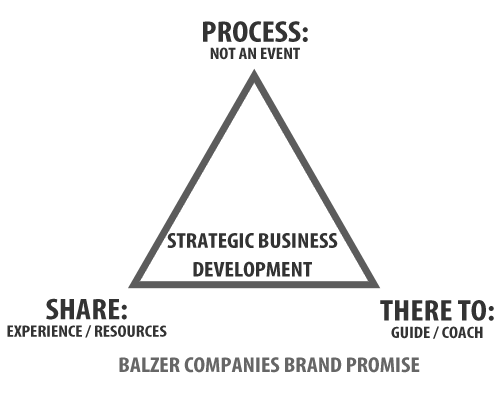 The business and financial plans evolve with a focus on fulfilling the strategic plan. Basically, the development of the business is the focus on implementing the strategic plan and making those difficult changes that are needed. © Copyright 2013 Al Balzer Companies. All rights reserved.